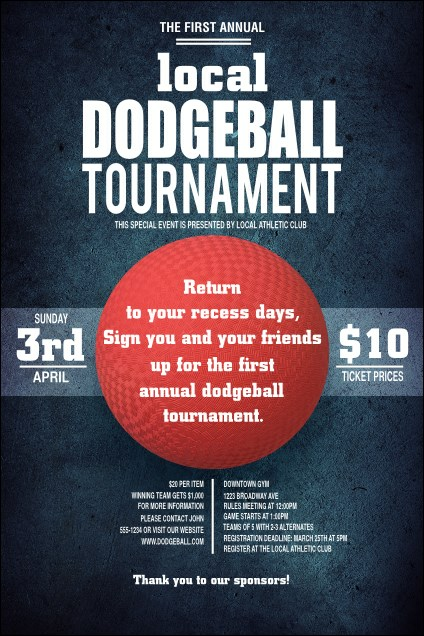 Bring more people into your rec league and advertise with the Dodgeball Poster. Bright bold white text announces your event or league info, with a realistic looking red ball in the middle. Choose matching promotions with tickets, flyers and invitations in an Event Kit. Make your event a hit with TicketRiver.com.au.